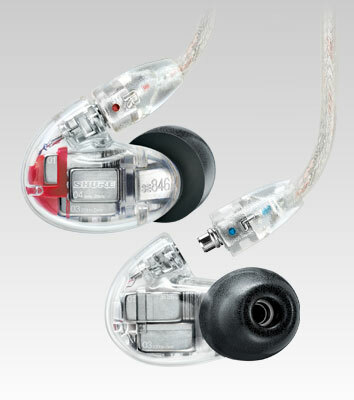 Quad High-Definition MicroDrivers The SE846 delivers extended high-end clarity and unparalleled low-end performance. Evolved from personal monitor technology road-tested by pro musicians and fine-tuned by Shure engineers, the SE846 features a patent-pending design that includes a groundbreaking low-pass filter. This technology enables the deep low-end performance of a true subwoofer without sacrificing clarity or detail of mids or highs. Comfortable Sound Isolating sleeves block up to 37 dB of ambient noise, whether onstage or on-the-go. Customizable frequency response, detachable cables, and a wide variety of accessories ensure an unequalled, perfectly tailored listening experience for the most discerning audio enthusiast. Two-year limited warranty: learn more.